When we first meet with a new web design client, we have a lot of questions. These questions are designed to not only figure out your personal style preferences, but also to get to the heart of what it is you need your website to be for your business. To be more specific, we need to know about your customers or website visitors and what they expect out of your website. After all, its great if you love your new site, but if your customers don’t find it useful, it won’t do you or your business much good. Here are some questions you can expect to be asked: Why do you need a new website? Who are your main competitors? -Why do you need a new website? -Who are your main competitors? -What makes your business better than your competitors? -Can you describe your target customer? -What is your main call to action (CTA)? -What are some existing website designs that you like and why? -What specific functionalities would you like included on your website design? 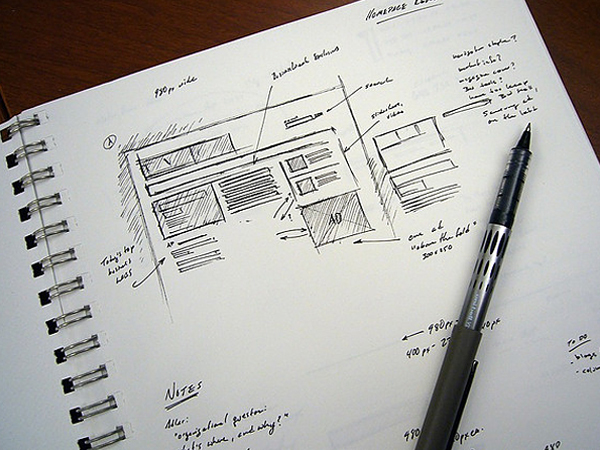 Once we know our clients’ needs for their website design, we have a bit of researching to do. This is where we put together a plan of action based on your customer profile, your competition and what you need to accomplish. We look at what works in your specific niche, and we even look at what others are doing wrong statistically, and see where we can succeed where others have failed. We utilize third party statistical software that can pull stats on any website. This raw data is valuable in assessing how successful a competitors design is. Once we have gathered all the necessary information, we can begin giving your website its structure. We do this in a process called Wireframe or Mock-up. The goal of wireframing is to determine the overall organization, page hierarchy and linking structure. We analyze your unique needs, and we implement accepted best practices to ensure that your website design has a consistent and logical flow. This is where we take the organization from the previous step and make it come to life in a visually appealing way. Good Toronto web design should make it easy for website visitors to know what to do and where to go in an instinctive way. We are able to use our abundant creative resources to make a custom website design that not only looks great, but is appropriate to your business and your end users. Once the homepage is locked in and signed off on by our client, we begin designing one internal page for similar approval. After this is complete and signed off on, we can begin the web design of the entire site. Throughout the process, there is always an open dialogue and collaboration between us and our clients. Changes are made as necessary, until we focus in on the final approved website design. Once the web development is finished to our standards, we then put it through its paces and test in all of the major web browsers to ensure that it will work for your customers. All of this testing is done on our own servers, and once it has passed all of the necessary tests, and is approved by our client, it is then transferred to their own web host, and tested once again for any remaining issues. Then in the final magic moment, it is made live and visible for all the internet to see. At A Nerd’s World, our speciality is designing and building custom websites that our clients can confidently control themselves. Imagine having your site go live, then be able to add and change content as often as you like. By being in the drivers’ seat, you can keep your site growing and changing as your business changes, all without the extra expense of hiring us to do it for you. And the best part is, you don’t even need any existing coding knowledge to do it. It is as simple as logging into your WordPress website dashboard, clicking on the page you would like to edit and type it into a user-friendly text editor. Do you run an e-commerce site? Imagine being able to quickly and easily add new items, including photos and descriptions in minutes. At A Nerd’s World, that is exactly what we do.